Item58 - 30 Jahre Skeptiker! Item60 - Very gradual CHANGE you can reliably and repeatedly demonstrate with empirical evidence / Alright, but apart from food, clean air and water, pollination of crops, unlimited clean energy, raw materials, recreational space, medicinal plants and a stable climate..... what has the Earth ever done for us? Item62 - What do we want? Scientific evidence! When do we want it? After peer review! 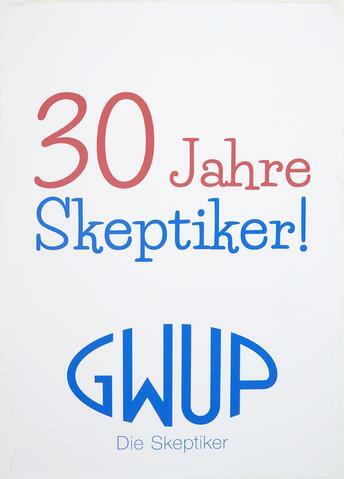 Item 58 - 30 Jahre Skeptiker!